During a local corporate meeting in Fort Worth, our team was tasked with creating a theme for the client’s top performers’ reception. Being local to the area, we thought it was the perfect opportunity to show off our southern charm. After all, no one could do it bigger! Given the unique history of downtown Fort Worth, we chose the Renaissance Worthington property to accommodate our guests. The Renaissance is walkable to almost anything in the city. Being tucked away in a city allowed for us to save on transportation costs – Sundance Square is just a stone’s throw away. 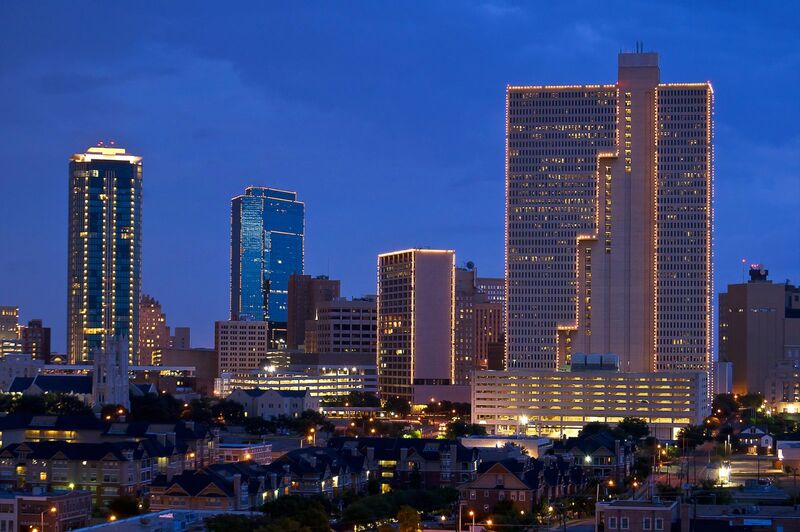 Guests were greeted with a Texan-flair at every turn in the heart of Downtown Fort Worth. To celebrate the group’s success, we proposed a progressive evening event in the downtown area. First Stop: Panther Island Brewery, a family owned and operated microbrewery off Main Street. The group started off the evening with passed hors-d’oeuvres and several locally crafted beers to taste. The Master Brewer gave tours to our group and talked through the art of crafting beers. Second Stop: Billy Bob’s Texas, better known as the World’s Largest Honky Tonk. Right in the heart of the Fort Worth Stockyards lies this iconic dance hall. Upon arrival, the attendees were greeted with Billy Bob’s famous drink, the Three-Legged Monkey. We teamed up to create an unforgettable Fort Worth, Texas experience for the qualifiers. One room at the venue was solely dedicated to fun activities. The guests walked in and were met with armadillos to race. This involved getting up close and personal with these animals. The attendees would get behind the starting line and blow on the armadillos to make them move across the penned-in area. To cap off the night, each attendee had the opportunity to completely customize their pair of boots. The custom boot fitting was hosted by Wild Bill, a local cowboy to the DFW metroplex. The fitting consisted of picking out every detail; from choosing the shape of the toe (snip, semi-round, or square), to adding their favorite scallop styles (roper, western, double dip). When planning local events, take the opportunity to incorporate local artisans and really showcase the city and what it has to offer. We were lucky to host this event in our own backyard. What better way to celebrate their accomplishments than by doing it Texas style! For more bright ideas on destinations for corporate meetings or incentive travel, check out our itineraries and success story pages. Program Specialist | Expertise is incentive and meeting program execution, and providing anticipatory customer service.